it's been a while from the last year the first collection Yummy carefully delivered by herself from Japan to Hong Kong in October 2010, after that we had 2 collection' deliveries were all adopted by the corporate clients internally, so most of the collection not be able to have a chance to leave it to petit morpho's Customers. eventually, Yummy prepared quite a lot of small size of preserved flowers for this time. 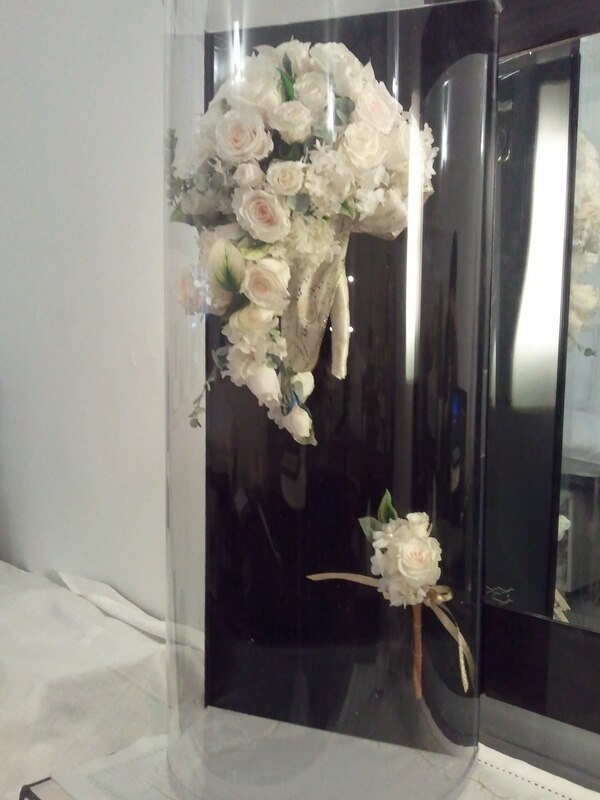 ..with a sample of preserved cascade-bouquet will be displayed in petit morpho for you to take a closer look!! "Cascade-Bouquet" is very popular in Japan right now....as mentioned before, why not keeping it "forever" after your Big day or important occassions instead of throwing away. .....and we do have a rental policy to meet your budget! the price of Preserved Flowers are much higher than Fresh Flowers. *all the orders will be taken priority through the internal referral.